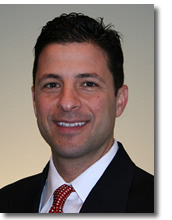 Jason D. Vallee is the Chief Operations and Chief Credit Officer of Leisure Financial Group. He is responsible for obtaining and developing all investment/lender relationships. Evaluating all commercial real estate debt requests throughout the firm including hotels/hospitality, golf/resorts, multi-family industrial, etc. He has more than 20 years in commercial real estate experience. Prior to forming Leisure Financial Group in 2013, Jason spent 15 years with Textron Financial Corporation, most recently as Senior Vice President of Credit and Operations of its Golf and Marina Division, which included Golf Mortgage, Marina, and Hotel Loans. He was a member of the senior management team responsible for business-level decisions involving visions and strategies, growth initiatives, and long-range planning. He also managed a staff responsible for the portfolio management of all golf, hotel, and marina investments. The portfolio was comprised of more than $1B in mortgage loans throughout North America and the Caribbean. Prior to joining Textron Financial, Jason was a partner in a commercial real estate brokerage firm located outside Boston, Massachusetts. He was responsible for the management of the owned properties as well as the marketing and sales of commercial and residential property. Jason is a graduate of Providence College where he received a Bachelor of Arts degree in Business Management/Finance. He is a certified Six Sigma Green Belt and completed The Executive Leadership Program at Thunderbird School of International Global Management. Copyright © 2019 — Leisure Financial Group, LLC • All rights reserved.